I have been wanting to watch a lot of the previous Oscar Best Picture winners, and I figured this was a good one to start off with. Not only is it a recent Best Picture winner, but it is in the "1000 Films You Must Watch Before You Die" book, and I have been curious about how this film would appear given the quirky and unique cinematography. Due to this film taking place primarily in one location, the choice of one camera shot for the entire film works very well. It exposes the characters and lets us see everything as if we were there, on the stage with those characters. 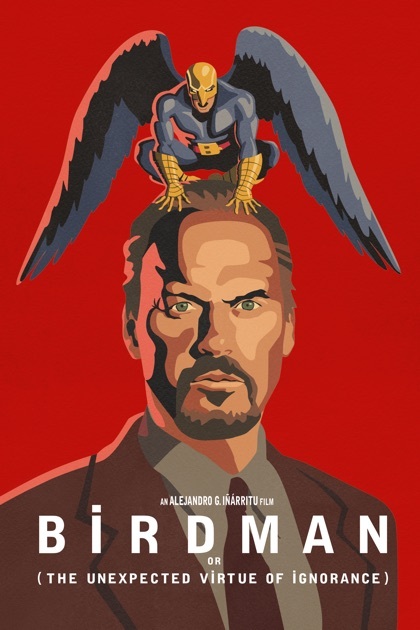 Birdman tells a compelling story of an actor who has had his moment in the spotlight and wants to be back in there. This is very much a film for Hollywood. It goes through the struggles that any actor could have, especially when they feel their career dying or their spotlight going away. They would do anything to be back in the spotlight, and with Keaton's character, he finds a passion project in a play and directs, casts and stars in it. The acting in this film is absolutely superb. Keaton gives a performance of a lifetime, and it truly feels like he is telling his own story. It is also relatable to him as the character made the spotlight from playing a superhero, something that Keaton did himself (as Batman). I also absolutely loved Emma Stone playing his daughter. For me, Stone is one of the best actresses working to this day and I love everything that she does. There was only one main problem with this film, and it is how it ended. I will not go into this as this is a spoiler-free review, but this film should have finished five minutes early. This is a case where the film feels it's ending, and then drags it on to make a bigger statement. For me, it does not work and it breaks the cinematography and style choices the film made throughout the entire film. It almost feels like the director added the last scene in last minute. Other than that, I really did enjoy this film. It is hard-hitting, so don't expect to go into this and leave it feeling positive about the state of Hollywood. It is an accurate depiction though, and whilst it could be a tough watch it is very rewarding. One of my bucket list items for this year was to watch every classic animated Disney film. I have only watched three so far (Snow White, Moana and now Hercules) so I am going to have to catch up. I wanted to re-watch Hercules for a long time though, as it may not be the best Disney film, but a lot of the elements are some of the best that Disney has done. For example, the soundtrack. God, this is the best Disney soundtrack by far. Every song is catchy, well performed and stylised. Speaking of style, I love this funky, different animation style. It is a contrasting tone to have a Greek Mythological story, mix it with a funky/current animation style and gospel music playing alongside it. Somehow though, it works. Go The Distance is also my favourite Disney song of all time, due to the great performance, rising music and empowering message. The characters are also fantastic. My favourite in particular is Megara, the most deserving person who is not a Disney princess to be a Disney princess. She is kind, feisty, stands for herself and goes through so much pain and trouble to be rewarded. The animal sidekick of choice for this film, being a pegasus, is also a fantastic choice. Sure, there are a few pacing problems and weird choice of story telling, but this is a fantastically under appreciated film from Disney that deserves to be watched. Yes, that's right. 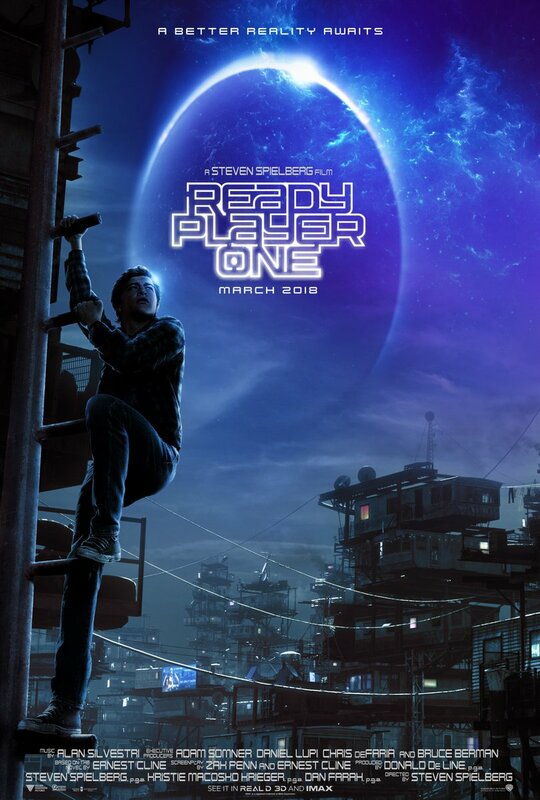 I went to see Ready Player One again in cinemas. Not only that though, but I was in Glasgow for the weekend so I got to see it on a Superscreen with Dolby Atmos surround sound. Wow. What an experience. You know it's a big screen when you are sitting in row X of a cinema screen. This film is even better viewing it the second time. The story becomes a lot more clear. There are less comparisons made with the original source. The characters feel more fleshed out. I get to appreciate the real world a little more. I know that a lot of people have certain complaints about the film so I am going to point them out and say why they didn't affect me. First of all, the amount of pop culture references. For me, they did not over-shadow the story. They helped bring the story forward and each reference felt necessary to drive the plot. They also did a great job of choosing 80s references that they could get license to. Whilst Disney and Spielberg might be very lightly referenced, a big focus is on the 80s culture and the films that really shone in that decade. In terms of the balance of the real world and the OASIS, it is meant to be more exciting and thrilling in the OASIS. Some people have been turned off this film because of how they depict the real world, but it is not a focus in the story. We are meant to not care much about the real world, as the characters don't care about the real world and want to escape. The pacing and balance of the film did that well for me. Yes, there are loads of changes from the book to the film. Whilst I last read the book almost two years ago, I still remember a lot of the differences between the book and the film. The challenges have changed, but it makes sense. If they were to do the first challenge, they would have had to bring in another back-story of levels, ranking and how not everyone in the OASIS is truly equal, and that would have changed the entire pace. This is a film that I am going to watch over and over again. My original rating does not change in the slightest. Please, if you have not seen this film yet, make your way out and do it. I will be back on schedule following Sunday, where I am going to look at the first quarter of the year and see how I am getting on with my bucket list. As well as that, I have not had the time to see any film this year so I am going to have to get cracking if I want films to review for you guys next week. Until Sunday, that was some film for thought.